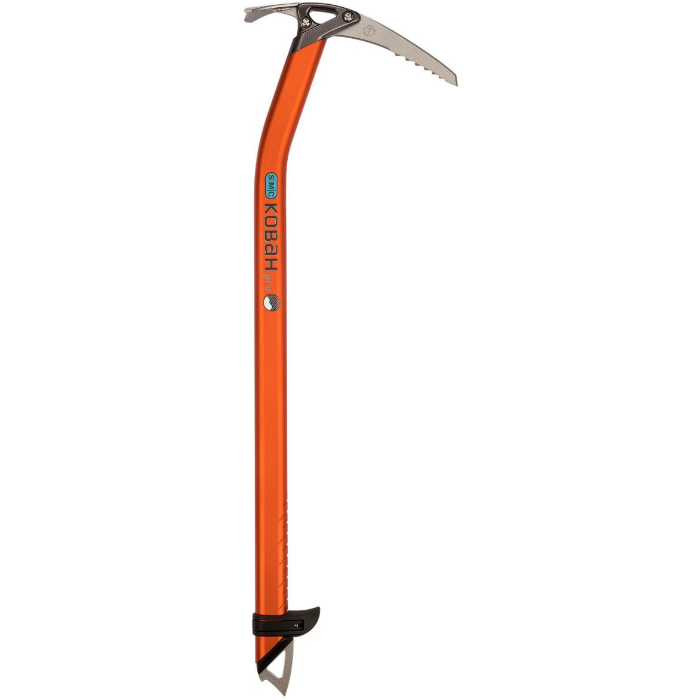 The Kobah Pro ice axe can handle anything on the mountain but excels at technical alpine routes. Available in two configurations and three lengths, its fully modular head, clearance shaft and ultralight weight make Kobah Pro perfectly suited for nearly any objective. Choose the Adze and Glacier Pick for all mountain functionality or the Hammer and Headwall Pick for pushing into steeper terrain. The broad, contoured head features a unique corrugated texture and provides a comfortable and secure grip to minimize fatigue over a long day in the mountains. The included GripLock pommel enables a high level of versatility. Park it at the spike and climb leashless, slide it up to the bend in the shaft to support your hand in high dagger position or set the GripLock at the top of the shaft for effortless plunging. Oversized holes at the head and spike of the Kobah Pro allow easy attachment of carabiners, leashes or umbilicals. Kobah Pro is fully T-rated for strength and long-term durability. We don't have any partnerships with retailers who sell this product online, but you can buy Kobah Pro Adze directly from the SMC website. 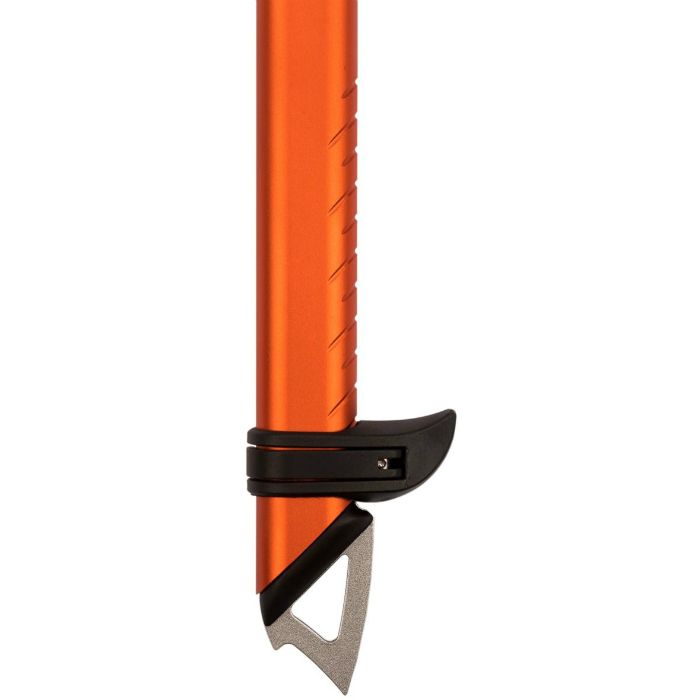 Since the most common ice axe length is 50cm that is the main length that we reference. When available, we list the weight for each length here. There are other resources online that suggest a longer axe is a plus and that you should measure below the ankle. We absolutely disagree. A longer axe means you'll be tempted to use it as a trekking pole (which will put you off balance), or you'll have to give your arm a huge workout just to lift it in and out of the snow. Ice axes are meant to be used on the uphill side, which is already much higher. The certified rating of the pick and the shaft. These ratings might not match each other. The materials, as stated by the manufacturer / brand, of the pick, head, shaft and grip. 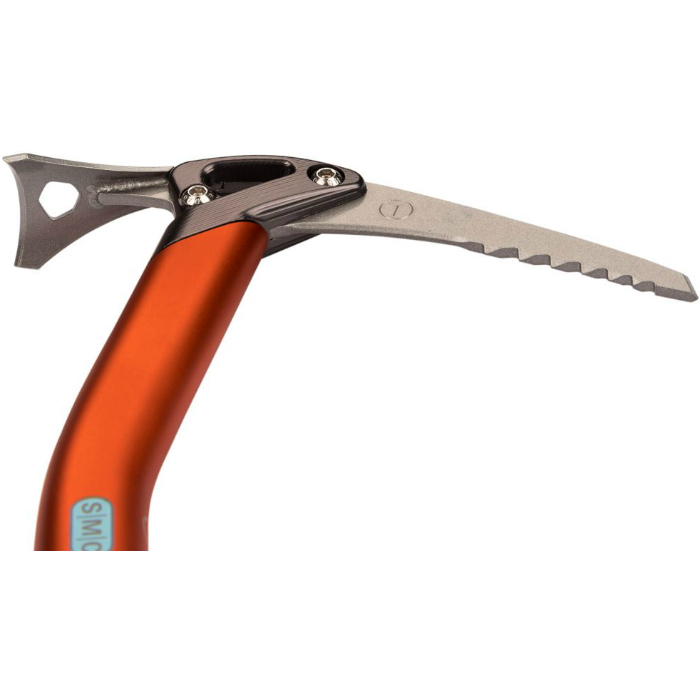 For ice axes, there is a separate certification for the pick and the shaft. This isn't super common, but sometimes the manufacturers will state a specific warranty such as "3 years against manufacturer defects"